There’s an approaching winter storm/blizzard on the east coast of North America. It will hit us here soon in Nova Scotia. 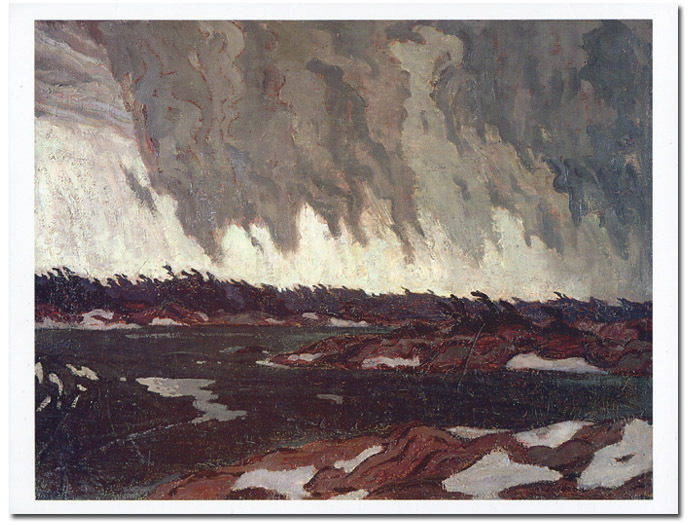 Often when there’s a big storm brewing I think of the Canadian painting by one of the Group of Seven called March Storm ( by A. Y. Jackson). 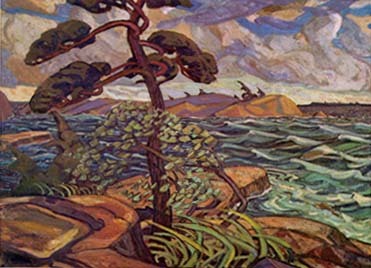 There’s another storm painting by Arthur Lismer based on the same area of Georgian Bay called September Gale. In both of these paintings you can almost feel the influence of nature’s power. I can’t recall ever trying to paint a stormy weather scene. Most of mine are calm and serene. Maybe it’s from living so near the water most of my life and witnessing the might of the Atlantic Ocean as it throws itself against the rocks and shores. It makes me appreciate the still moments. Oh and by the way. If you’re anywhere near the shore during this attack of nature, don’t trade your life for a mere selfie. It’s not worth the risk. Perhaps, if the electricity/ power should go out and we still have good light I might just attempt to “paint up a storm”. Have a safe one! Thanks for visiting.